This exquisite home is recently remodeled and in brand-new condition! Approximately 4,500 sq. ft., on an ample lot of 1000 sq. mtrs. 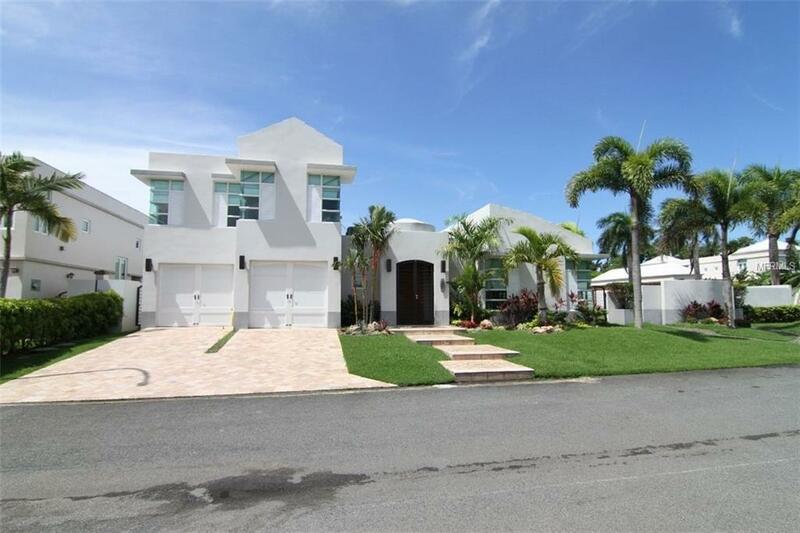 with high cement privacy walls, on a corner lot in this exclusive community of only 38 homes. 4 spacious bedrooms, 3.5 baths, on first floor: master suite has walk-in closet and gorgeous bath, fully equipped designer kitchen, living, dining, laundry room, on second floor: master with walk-in closet and bath, and 2 bedrooms with walk-in closets. Great expanded terrace with half bath and portable Jacuzzi, 2 car garage. Many extras such as gas generator, water softener. Paseo Las Palmas offers you 24 hour security, residents pool, tennis and basketball courts, gazebo for activities, all surrounded by beautiful tropical landscaping, and close to hotels, golf, beaches, fine dining. This is a great place to live the good life, call me for a showing! Listing provided courtesy of Dumar Orlowska Ana C..